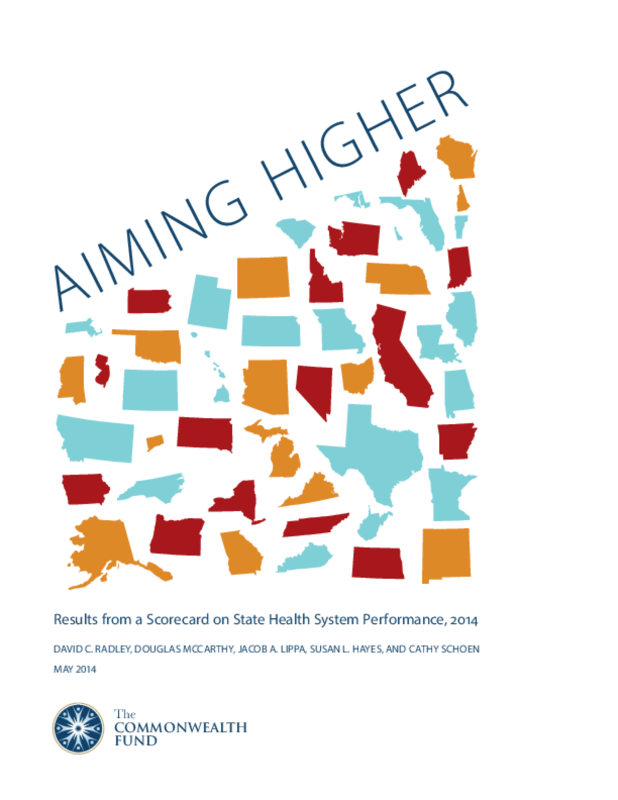 The Commonwealth Fund's Scorecard on State Health System Performance, 2014, assesses states on 42 indicators of health care access, quality, costs, and outcomes over the 2007–2012 period, which includes the Great Recession and precedes the major coverage expansions of the Affordable Care Act. Changes in health system performance were mixed overall, with states making progress on some indicators while losing ground on others. In a few areas that were the focus of national and state attention—childhood immunizations, hospital readmissions, safe prescribing, and cancer deaths— there were widespread gains. But more often than not, states exhibited little or no improvement. Access to care deteriorated for adults, while costs increased. Persistent disparities in performance across and within states and evidence of poor care coordination highlight the importance of insurance expansions, health care delivery reforms, and payment changes in promoting a more equitable, highquality health system.